If your sweet and fluffy pet rabbit has a habit of using her nose to nudge on things or people, don't simply disregard it as a cute and endearing bunny behavior. When a rabbit nudges, she's usually making a request of some sort. No matter what, however, the intention is essentially always a communicative one. If you're quietly and peacefully watching television and minding your own business only to notice your bunny nudging her tiny nose onto your leg, it's possible that she's not so discreetly demanding your undivided attention. The little cutie sees you giving all of your concentration to something else and wants all of the focus on herself right now. It may just be time for a cuddly petting session. If your rabbit's nudging is rather forceful, then she may be telling you in plain language that she wants you away form her field of vision, at least for a little while. You may be interfering with her easy access to her favorite yummy treats -- think wee bits of fresh apple, for instance. If your mere existence is physically blocking your pet rabbit from easily and quickly getting from point A to point B, then her nudge may be her way of telling you that. "Scram, owner!" 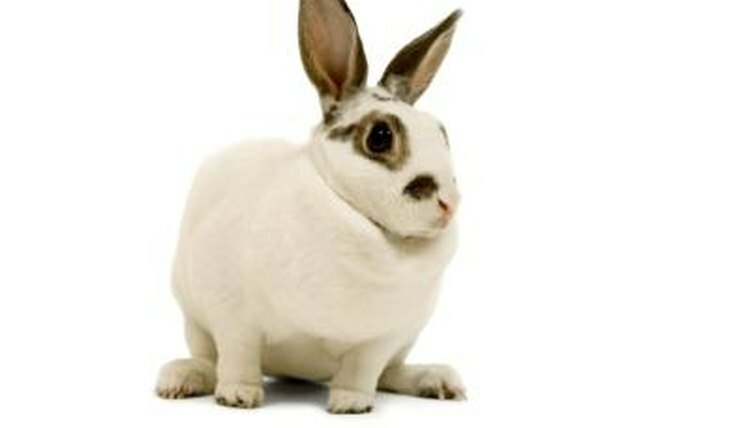 A rabbit nudge can mean something as simple as a basic courteous "hello." If you walk up to your bunny's living quarters only to see her pressing her face up against the cage, she's very likely saying hello to you. These kind of friendly nudges are generally softer and lighter than ones with more urgent meanings -- such as those that indicate the desire to be left alone. If a pet rabbit is roaming freely through a certain room of a household, she may investigate her surroundings by employing a combination of nudging into things and smelling them too. By nudging her nose into random items, whether your living room sofa or a book on a coffee table, your rabbit may be getting a grasp onto something totally new and unfamiliar to her -- nothing more, nothing less. For rabbits that live on their own in the wild, nose nudging behaviors occasionally indicate the desire to mate. If a pair of wild rabbits are pressing their noses up against each other, mating may just be what happens next.